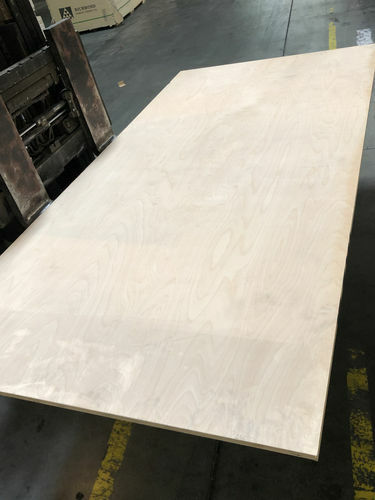 I have used Baltic birch plywood in the past for a much smaller project, however I am not sure if it is appropriate for a table. The best Baltic birch I can find is BB/BB grade. My understanding is that Baltic birch and other imported woods use a different grading system than domestic woods. 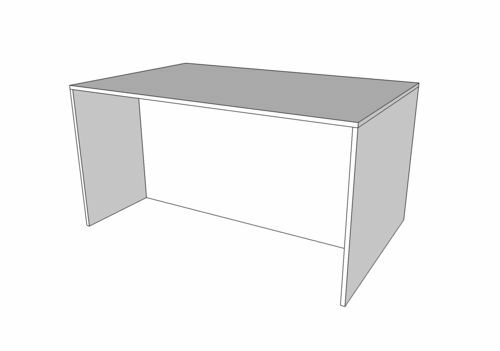 Is BB/BB suitable for a table? If not, what light-colored plywood would be better? I have never finished plywood beyond basic sanding. Since this is a table I would like some protection from scratches and spills. Water-based polyurethane seems like a good choice because it is easier to apply than oil-based polyurethane and doesn’t darken the wood. Is there a better product I could use though? Not able to use sprays. Thanks for reading—any input will be much appreciated! If you’re going to use plywood, you may want to consider edge banding to give the project a more finished look. Plenty of vids on YouTube can show you the basic techniques of installation and the few simple tools you’ll need. Birch edge banding is available in most big box stores and can make a big difference in how the finished product looks. 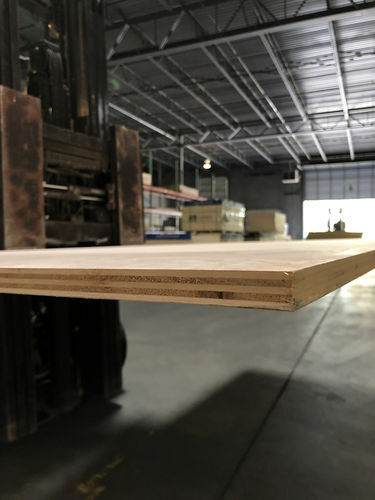 Are you worried the plywood will not be structural enough or just not look right? I haven’t done too many plywood projects and when I have I was more worried about getting the proper thickness and either painted or veneered the project so defect rating of the plywood didn’t matter much. I say, if it looks good it is good! BB means there may be football-shaped patches on the face. So BB/BB means you can expect to see them on both faces. As long as you’re okay with seeing the patches and the edges of the plywood don’t bother you, it’s fine for use on furniture. If you use water-based poly, check out Varathane’s Diamond Floor Finish. It’s the best of the water-based finishes I’ve used to date. Applies easily (never tried brushing it though) and looks more like an oil-based poly than other water-based products such as Polycrylic or Kem Aqua Plus. BB means there may be football-shaped patches on the face. So BB/BB means you can expect to see them on both faces. As long as you re okay with seeing the patches and the edges of the plywood don t bother you, it s fine for use on furniture. I was hoping to not see any patches. I actually ended up purchasing three sheets of 3/4” domestic birch plywood that is A1 grade. I am confused about the plies though. The domestic birch I bought has less plies than Baltic birch which doesn’t look as nice, however apparently the plies are less likely to have voids which is good. Hoping the CNC machining process will clean up the edges a bit. If you use water-based poly, check out Varathane s Diamond Floor Finish. It s the best of the water-based finishes I ve used to date. Applies easily (never tried brushing it though) and looks more like an oil-based poly than other water-based products such as Polycrylic or Kem Aqua Plus. I’ll definitely check that out, thanks for the recommendation! When you say it looks more like an oil-based poly, do you mean it darkens the wood more? I am hoping to keep the wood as light as possible. Here are some photos of the plywood I just bought. Let me know what you think! It looks like Chinese with super thin surface veneers. Don’t sand it much. It looks like Chinese with super thin surface veneers. Don t sand it much. ditto, think of that outer veneer as a sheet of paper,thats about how thick it is! Uh oh, should I cancel the order? I think it’s domestic (manufactured by Columbia Forest Products) but if I won’t be able to sand it even just a little bit before the poly coating then it won’t work for me. Is this poor quality wood? Paid $86/sheet. Is this poor quality wood? Paid $86/sheet. Uh oh, should I cancel the order? I think it s domestic (manufactured by Columbia Forest Products) but if I won t be able to sand it even just a little bit before the poly coating then it won t work for me. Is this poor quality wood? Paid $86/sheet. 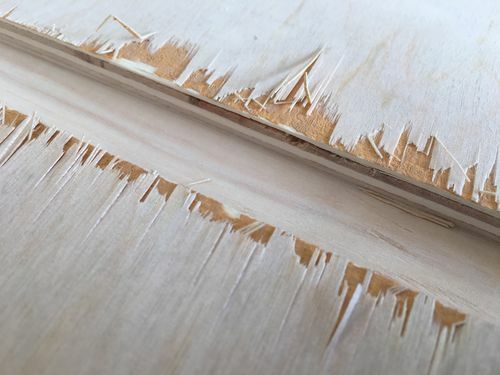 most hardwood ply is already sanded pretty smooth so it wont need much,you can do a light sanding with 220 or 320 grit just dont sand too long in one spot.try a test on a scrap piece to determine. $86 for a single 4’x8’ sheet seems high—but maybe where you are located the prices are higher. At the HD near me (Maryland), they sell 4’x8’ birch plywood for about $55. As others have said be careful when cutting the plywood to avoid splintering. You can use painters tape on the cut line to help minimize splintering and/or a higher tooth blade and/or a zero clearance insert on tablesaw or zc shoe on your circular saw. Be very careful if you decide to sand the surface as the face veneer is likely to be thin. You can use hardwood edging or iron-on veneer to cover the plies. If it is Pure Bond, that should be be ok. Just take it easy on the sanding.